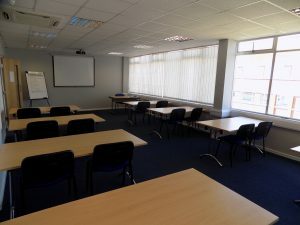 3B Training offers four function rooms available to hire. 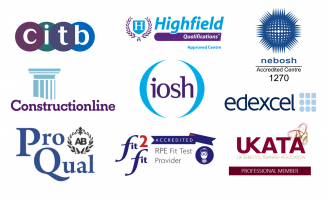 At our Head Office in Wigan, we offer flexible room hire. All of our rooms come in a range of sizes. We are based in Hindley Green just 10 minutes from the motorway. The seating arrangements are easily adapted and can be personalised to your preference. Modern space – light, clean, contemporary and well maintained. Rooms are available between 8am-5pm. 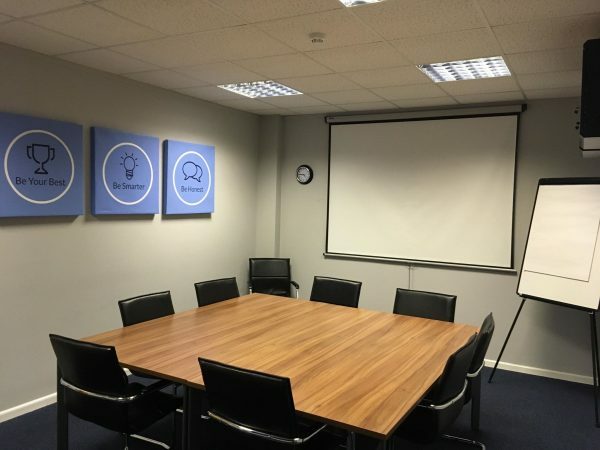 Digital projector, whiteboard, flipcharts and pens are provided within the room. We provide excellent tea, coffee and soft drinks and can supply a buffet service for an additional cost. 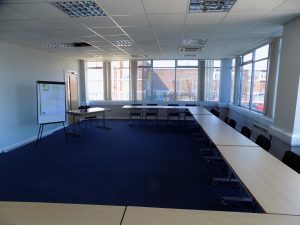 Ideal for formal meetings; the boardroom is fitted out with comfortable chairs and a square table rather than it being set out in a classroom style. The room can hold up to 8 people. Are you looking for a unique venue to organise a conference, workshop, training session or exhibition? 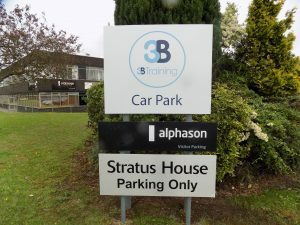 Why not book your room hire with 3B? This room can hold up to 20 attendees in classroom style. Although, due to the rooms size, the suite can be set up according to your needs and therefore can hold slightly more if needed. If you’re looking for something slightly smaller or more flexible then Training Room 2 is a great option. The tables in this room are easy to manoeuvre which allow the room to be set out a number of different ways. The facilities to hold up to 14 people in both a classroom and horseshoe layout. 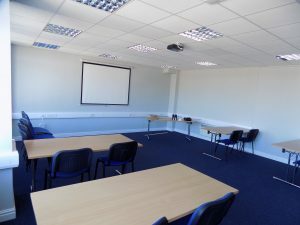 This room is ideal for a smaller group for workshops, meetings or training sessions. It can accommodate up to 12 attendees in a variety of layouts to suit your needs. To book one of our suites or to inquire about room availability please contact us here.